Hair ruts are absolutely no fun. While you can read here about changing your products seasonally and my post-color care recommendations are forthcoming, I'd like to spend some time on point number 3. Trends in the natural hair community ebb and flow, and after cycling through doing-entirely-too-much-on-wash-day and doing-the absolute-bare-minimum-to-qualify-as-wash-day, I've been spending the better part of the past month getting re-acquainted with the former. Here's the big secret: your hair responds better, looks better, and is healthier when you take the time to give it the attention it deserves. That's right, the secret ingredient isn't goat milk, babassu oil, or anywhere to be found in a Shea Moisture jar. 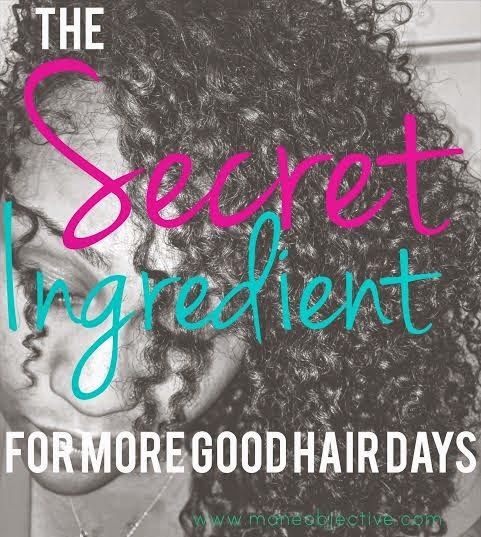 The secret ingredient to more good hair days is to treat your hair like it needs to be treated. When was the last time you actually pampered and took care of your hair? If you keep it real like me, it's probably been a minute. Yes, I got consistent with wash day cleansing, deep conditioning, and even adding in my ApHogee Keratin 2 Minute Reconstructor. But even then, I was cutting corners. Finger detangling in large sections because like, who has time for 15 sections of hair? Rushing through my leave-in and styling process, because, reasons. I put an end to that yesterday. Wednesday night, I couldn't sleep. 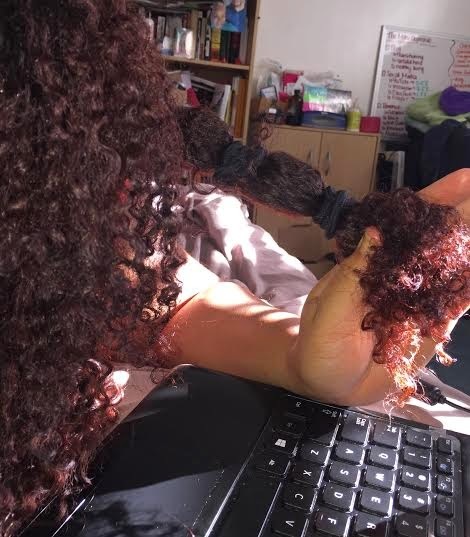 So I did what any normal person would do -- detangle my hair. I started off with water and coconut oil, a la Bianca Alexa (she blessed me with her detangling method at the Nurture Your Natural Brunch in our little sidebar convo), and did my ususal coconut oil/JBCO scalp oiling. But even then, my hair didn't feel quite right. It seemed rough, and like some of the ends wanted to play a game of "lets twist and turn in preparation to become single strand knots". So I whipped out the Shea Moisture Tahitian Noni & Monoi Smooth & Repair Rinse-Out Conditioner, because I bought it during the Shea Moisture BOGO and needed to use it. Best. Decision. Ever. I coated my strands in the conditioner, which to my surprise had great slip. I sprayed on a little more water, and then grabbed that Babyliss doodad [$2 at Sallys, click here] you see in the middle of the photo. It's technically a scalp massager, but every blue moon I like to use it to detangle my hair. The bristles are thick and wide enough to convince me they wouldn't yank my hair out like a Denman. Working from roots to ends, I used the Babyliss thing to smooth and detangle my hair. I twisted my hair up, and section by section, clipped away the stray ends. I have this "thing" about the ends of my hair -- I like them to be blunt and thick. I can't stand tapered ends as a natural, because I had tapered, thin ends as a transitioner for 21 months. I paid my dues. So when I start seeing ends that aren't straight and blunt at the end of the curl, I whip the shears out. After snipping away 1/4 of an inch or so around my hair, put on my "greasy hair scarf" and called it a night around 2am. Yes, I had just spent 2 hours detangling and trimming my hair. I hadn't done that since God knows when. I let the mix sit and cure as I cleansed my hair. I shampooed with Ouidad Superfruit Renewal Clarifying Cream Shampoo, and washing was an absolute breeze. Not only were all my twists smoothed to the high heavens (thanks, Shea Moisture! ), the thorough detangling job made working the shampoo through a million times easier. 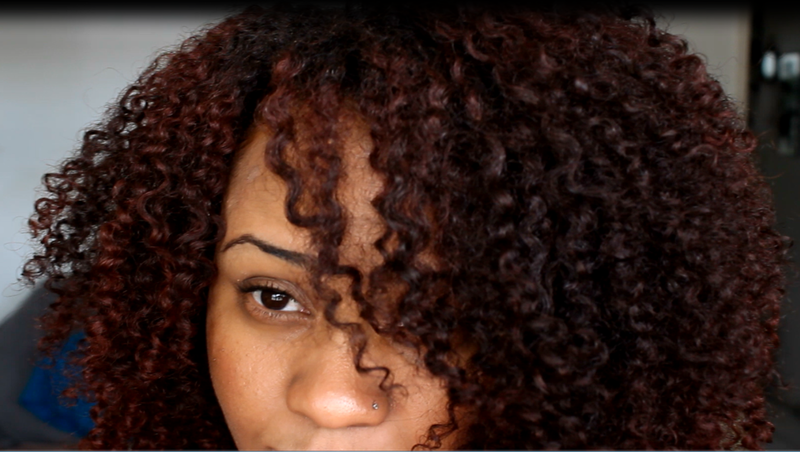 When my strands were all clean, I applied henna thoroughly, coating my hair root to end in small sections. I secured my hair in cling wrap and placed a plastic cap over it. And then a satin bonnet. And then a beanie. I had errands to run and laundry to do. I left the henna in my hair for about 4 hours -- about how long it took for me to get annoyed with henna drips running down the side of my face. In the shower, I rinsed the henna thoroughly (note: it takes a good 5 minutes under constant running water to get it all out), and applied Mystic Divine Nourishing Masque for fast-acting deep conditioning. Review coming soon on that one, but let's just say I was pleasantly surprised and I need more of it in my life. Still a little damp, but dry for the most part. Because date night calls for stretched hair. I'll be sharing final results pictures on Instagram (per usual), but suffice it to say that even in its shrunken state, my curls look better than they have in a long time. They're healthier, spring loaded, fluffy, soft, smooth (ya'll know I have a perpetual struggle with rough ends), they have a natural luster, seem less unruly, and are just all-around awesome. I attribute all of that to taking the time necessary to go the extra mile for my hair. Yes, it took a lot of time and required tons of patience. Yes, I used about fifty-leven different products. Yes, my wash day required about 17 different steps. But guess what? In order to get your hair back on track, you don't have to do everything I did. We've already uncovered that the secret ingredient to more good hair days is time. Think back to that regimen that had your hair thriving. What have you cut away from it, in an effort to save time? The unsexy truth is that those things are necessary to get your hair back where you want it to be. Does wash day have to turn into a weekend-long affair? Maybe. Do you need 15 different products? Sure, if they work. Whatever was working for your hair before, do more of that. Hopefully this post inspires you to take some time out this weekend and pamper your hair. You don't have to make this an all the time thing, just make it work for you. Although I'll be sticking to my monthy henna sessions, I will be dusting off my Babyliss thing more often (probably monthly) to supplement my finger detangling. And I will most definitely be spending more time working my conditioners and moisturizers into my hair. Don't let other naturalistas who use a 15-in-1 miracle cleanser, deep conditioner, detangler, styler, credit repairer, moisturizer thumb their nose at you for doing the most with your hair. Different strokes for different folks! How do you roll out the red carpet and pamper your hair?